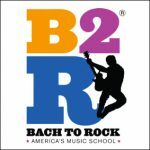 Bach to Rock (B2R), America’s music school for students of all ages, proudly announces it is opening its first school in Oregon in Tanasbourne. The community is invited to the free grand opening festivities on Saturday, June 23, 2018 from 10 a.m. – 2 p.m. at 2345 NW 185th Avenue, Hillsboro, Oregon, 97124. Attendees are welcome to tour the school, enjoy a free music lesson, learn about individual lessons and group classes, try out free toddler “Mommy and Me” classes, enter prize drawings and giveaways, check out the recording studio and meet the teachers. This location marks Bach to Rock’s first school in Oregon and its 32nd in the country. “We are excited to expand Bach to Rock to the Northwest with our Tanasbourne school. 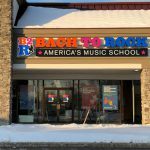 It is rewarding to see how our music education program has positively impacted thousands of children and adults, and is growing across the United States,” said President of Bach to Rock, Brian Gross. “With Bach to Rock, students learn to play today’s favorites and jam with other kids from the start. Gone are the days of boring and solitary music lessons,” continued Gross. Families in Tanasbourne, Portland, Hillsboro, Beaverton and Aloha will truly benefit from the Bach to Rock method. “It’s a wonderful community that will surely benefit from Bach to Rock’s innovative approach to music education,” added Gross. New Bach to Rock franchisees Matt and Nikki Dufner are the proud owners of the school. The dynamic husband and wife team hail from Portland and have been working tirelessly for over a year to prepare for the school’s unveiling. “We are very driven to modernize the music enrichment industry in the Portland area. Bach to Rock is cool and fun and provides a welcoming and invigorating environment that’s all about the music,” said Nikki Dufner. The couple knows their school will fill a void in the community. 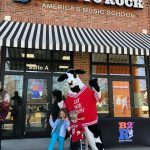 “There isn’t anything that compares to the music education that Bach to Rock offers – we deliver the music foundation parents want for their kids, and we provide the joy and energy kids want,” she continued. 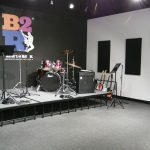 Bach to Rock Tanasbourne will offer a variety of programs for students of all ages including: individual and group lessons in piano, voice, guitar, drum, DJ and more; music programs for preschoolers and toddlers; beginning piano for children in grades K-2; along with summer camps and birthday parties. Bach to Rock also offers MyB2R, an online dashboard offering customers real-time access to student progress and more. MyB2R is the only digital service of its kind in the music school industry, and provides the ability to track student advancement, schedule lessons, obtain homework and stream over 300 pre-recorded songs to practice at home.